Pottery, lampwork, jewelry, and other crafts reflecting the love for Leelanau Peninsula. "In my 20's I opened up a small bead store. This was when Macrame' was popular. From that point on I was hooked. I closed the business when our family made a move. However the bead fever never left. I continued to create jewelry and collect beads. Now I sell my jewelry at Farmers Markets in Leelanau County during the Summer Tourist Season. My partner Rick is the driller, polisher, stone collector etc. The exciting part about this is that our pieces have traveled all over the world. So that brings us to this point, a new adventure." Plant medicine and herbal remedies foraged from the forests and woods of Leelanau. 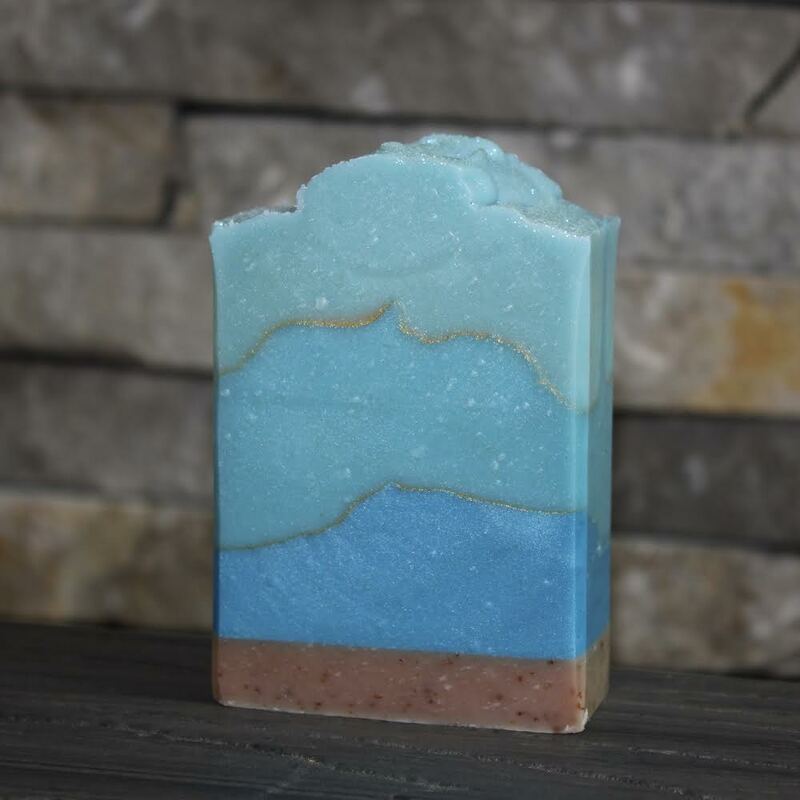 handcrafted hot processed soap, body butter, bath salts, foaming sugar scrubs, bath bombs, bubble bars, and more. Handmade Petoskey stone and Leland Blue necklaces, bracelets, and earrings made with sterling silver, leather or silk cord, and silver charms. Char Bickel & Steve Wetherbee // Char's works are colorful, hand painted, hand cut silk collages in maples shadow boxes frames. The Green Dragon // Kay Yonker // stoneware, hand sewn wool applique from vintage and recycled materials. REBAGG // Candace O'Leary // REBAGG is the Remarkable, Reusable, Reversible cloth carry all bag.